If you watch a lot of Netflix films, you may have noticed the original movies they’ve been producing have been getting a lot better. This trend continues with director J.C. Chandor’s Triple Frontier. 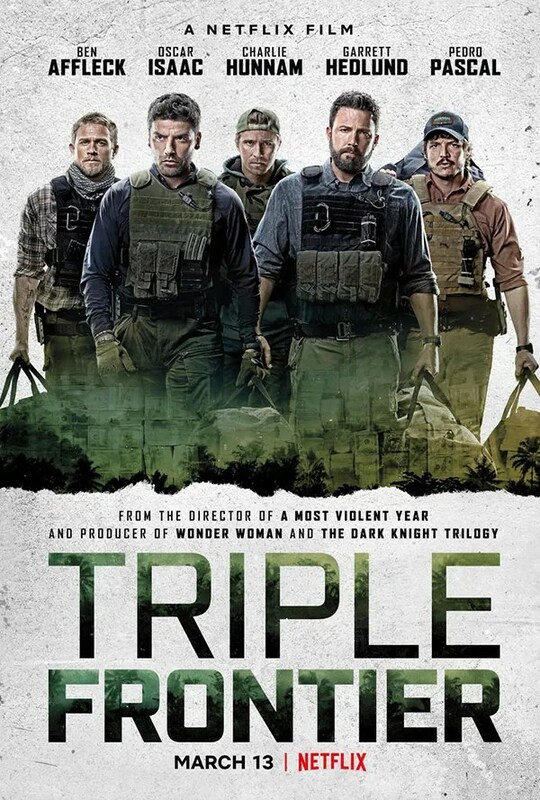 Loaded with some fantastic actors – Ben Affleck, Oscar Isaac, Charlie Hunnam, Garrett Hedlund, and Pedro Pascal – the action-thriller, written by Chandor and Mark Boal (The Hurt Locker, Zero Dark Thirty), centers on a group of former Special Forces operatives that decide to steal a South American drug lord’s money. while you’ve seen a ton of movies about big heists, what’s refreshing about Triple Frontier is that most of the film takes place after they’ve done the job. Trust me; if you have Netflix, you absolutely want to check this movie out. For more on Triple Frontier, you can read Vinnie Mancuso’s review or watch the trailer. Shortly after seeing the film, I got to sit down with Atlas Entertainment’s Charles Roven, Alex Gartner and Andy Horwitz to talk about producing Triple Frontier. They talked about the long road bringing this project to life, what was it about the material that kept them working on it for so many years, how the project landed at Netflix, if it came close to going with other actors in the lead roles, if the film changed in the editing room, how they landed Guy Norris for 2nd unit, the 3rd act twist and how it happened, and so much more. In addition, with Roven, Gartner and Horwitz involved in many other projects, we also talked about the Wonder Woman 1984 release date change, the status of director Dan Trachtenberg’s Uncharted movie, and what’s up with Shane Black’s The Destroyer. Click here for more of our Netflix coverage, and you can also check out our guide for the best movies on Netflix here. Game of Thrones Season 8: Is Jon Snow Ready to Be King?